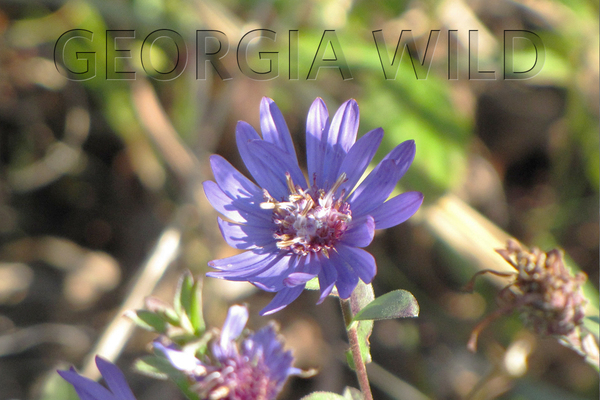 More botanist boots on the ground have meant more Georgia aster populations documented. Partners in a 2014 Candidate Conservation Agreement that helped keep the rare wildflower off the federal endangered species list searched for the tell-tale purple flowers along miles of rights of way this fall. “If you see anything that’s remotely purple, you go and look at it,” said Dr. Mincy Moffett, a botanist with DNR’s Nongame Conservation Section. - 11 counties near Atlanta, ranging from the north metro area to Alabama. - Some 170 miles of road and power-line rights of way checked on foot by 37 people over 15 days. - At least 12 new populations discovered, totaling more than 5,000 stems and including the first Georgia asters reported in Carroll, Haralson, Heard and Polk counties. According to DNR botanist and survey coordinator Tom Patrick, one goal was to fill a gap in records between the Alabama state line and Paulding Forest Wildlife Management Area near Dallas. “This was accomplished,” he said. In one example, Nongame Conservation and U.S. Fish and Wildlife Service staff, coordinating with the Georgia Department of Transportation, scoured about 12 miles of Ga. 140 roadside in Bartow County before they decided at day’s end to check a power line near where the groups met. “We had been skunked to that point,” Moffett said. Then they found more than 500 Georgia asters grouped under the Georgia Power lines. Add another site to the map. DNR, DOT, Georgia Power and the National Park Service are among nine signers of the Candidate Conservation Agreement committing each to help ensure the plant’s survival. Surveys to find new populations hit high gear this fall. Partners will decide by 2017 which sites they’ll monitor long-term to track range-wide trends. Georgia aster is an uncommon but wide-ranging perennial found in the upper Piedmont and lower mountain regions of Alabama, Georgia and the Carolinas. Rights of way offer sun and less competition from trees and shrubs. The plant blooms from late September until the first heavy frost, peaking in mid-October. In 1999, the Fish and Wildlife Service made Georgia aster a candidate for federal listing, meaning it warranted being on the list but other species rated a higher priority. Yet, in September 2014, the federal agency determined the aster didn’t require listing. The announcement cited the Candidate Conservation Agreement as evidence that significant gains by the plant in recent years would continue. - Buy an eagle or hummingbird license plate. 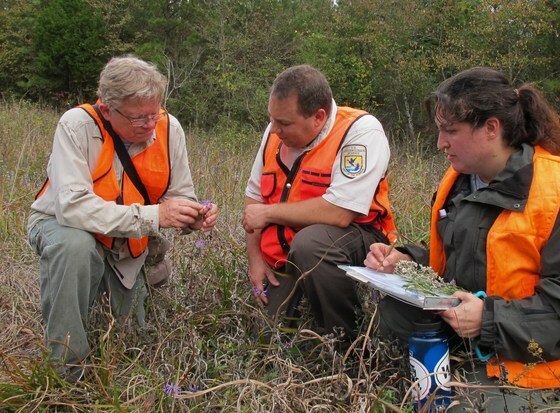 They cost only $25 more than a standard tag and as much as $20 goes, by law, to conserve nongame wildlife, including rare plants such as Georgia aster. - Learn about work done by the Nongame Conservation Section and the Georgia Plant Conservation Alliance to conserve this and other native species. If I asked you to make a list of animals that visit your backyard, I’m sure that list would include scores of birds, butterflies, squirrels, toads, the chipmunk and an assortment of other critters. But I would venture to say most people would not include the Virginia opossum. One reason why is that opossums are nocturnal. 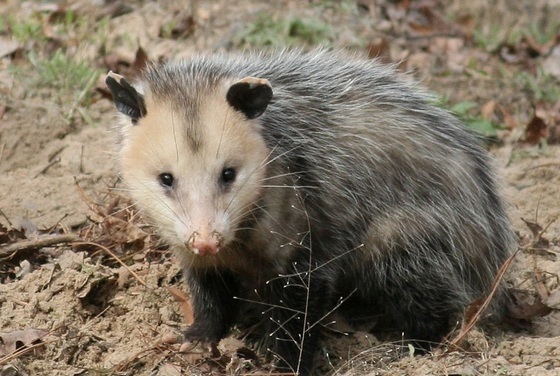 Yet, whether you live in the country, suburbs or city, chances are opossums are occasionally using your yard. Read Terry’s column to learn about opossums' strange use of their tails, the journey their tiny newborns make and what happens when 'possums play 'possum. If all sea turtle rescues were this easy. 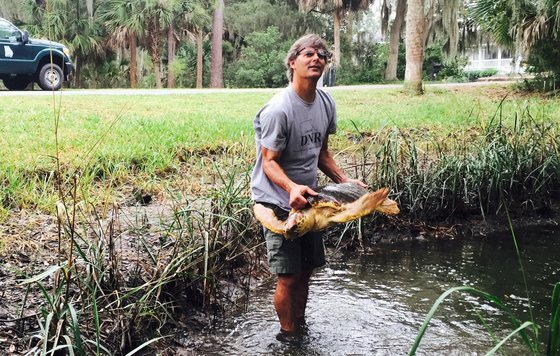 After homeowners videoed a loggerhead in a lagoon at The Landings, Georgia Sea Turtle Program Coordinator Mark Dodd arrived at the Skidaway Island community loaded for, well, turtle. Boat, gillnet, trammel net, seine. “It’s difficult to catch a sea turtle,” Dodd said. Or usually it is. This juvenile was small enough to enter the ponds through connecting culvert pipes, one of which led to a tidal creek. But the loggerhead, a species protected by state and federal law, needed to be back in the Atlantic before cold weather set in. On Nov. 3, Dodd, DNR technician Ashley Raybould and AmeriCorps members Katelyn Olsson and Helenna Harty, who are working at the Georgia Sea Turtle Center, checked one lagoon. No loggerhead. They moved to the next. A woman doing yard work said, yes, she had seen the turtle there 30 minutes before. The turtle, which looked healthy, was tagged and released shortly afterward near Delegal Creek Marina (video). Rescuing sea turtles isn’t the norm, though this is the second Dodd and company have handled this year (“How to remove a turtle from a moat,” July 25). Even more unusual is how smoothly this one went, Dodd said. Learn what grade coastal Georgia received in the state’s first ecosystem report card via a Nov. 13 webinar. Methods and results, including key wildlife indicators, from the 2014 assessment initiated by DNR will be covered starting at 11 a.m. Pre-registration is required. The webinar pairs with a limited-seating town hall meeting at Coastal Regional Headquarters in Brunswick. The report card can be downloaded at CoastalGaDNR.org/ReportCard after the meeting. Teachers and students can explore wildlife and art through Georgia's 26th annual Give Wildlife a Chance Poster Contest. Sponsored by the nongame friends group TERN and coordinated by DNR and the State Botanical Garden of Georgia, the contest encourages K- through 5th-graders to explore the outdoors and their artistic interests. State-level entries are due by April 8. Help wage war against exotic invaders by attending the annual meeting of the Georgia Exotic Pest Plant Council, 9 a.m.-4:30 p.m. Nov. 18 at the University of Georgia Griffin campus. Fees apply and preregistration is required. Two new grasshopper species from Georgia’s western Fall Line region are described in a recent research article. In revising the grasshopper group Melanoplus scudderi, author JoVonn Hill of Mississippi Entomological Museum details, among 21 new species, Melanoplus muscogee – named after the Muscogee (or Creek) people – and Melanoplus chattahoochee, named for the Chattahoochee Fall Line sandhills, where the species is apparently endemic, Hill writes. Details in Issue 2 of Transactions of the American Entomological Society. Coastal plant conservation and pollinator programs statewide kept participants in the Georgia Plant Conservation Alliance’s fourth annual fall symposium busy. The second-day focus of the event, held recently at DNR Coastal Regional headquarters, focused on initiatives involving milkweed and other native plants critical to butterflies, bees and other pollinators. Review research on monarch butterflies at MonarchNet, a project of the North American Butterfly Monitoring Network and the Monarch Joint Venture. 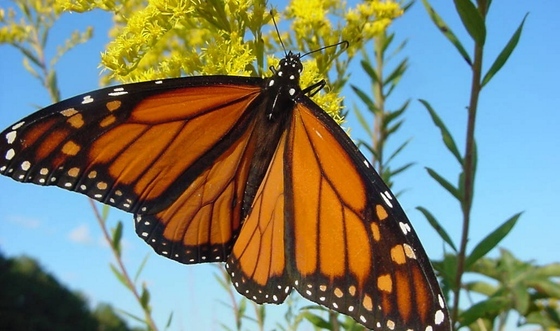 The website features all peer-reviewed literature on monarch biology. Berry College's bald eagles, the popular pair live-streamed by the school, are getting their nest ready. In a recent housekeeping highlight, the adult female carried a large limb toward the nest. The limb, which the mom dropped in flight, weighed 12 pounds. The Berry nest cam is shared on Wildlife Resources Division's website. Georgia landowners have until Dec. 18 to apply for assistance through the fiscal 2016 Environmental Quality Incentives Program. Reauthorized in the 2014 Farm Bill, this program administered by the Natural Resources Conservation Service offers technical and financial aid to address natural resource issues on private lands. Project Hero is looking for a few heroes. The program being developed through a conservation coalition led by Captain Planet Foundation will use a web interface to inform children about rare species and local habitat restoration, and encourage their involvement in stewardship. Needed for the prototype, however, are qualified adults to help as “Hero Society” members. Learn more. “King tides” swamped parts of the coast in late September and October. 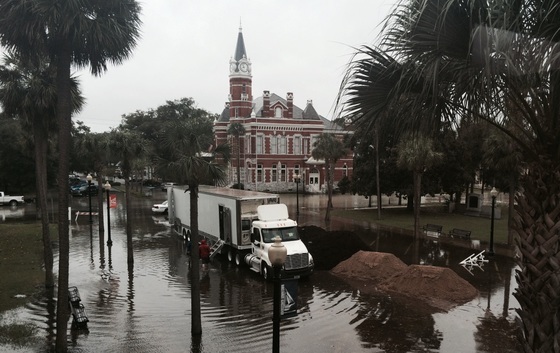 Included was a nearly 10.5-foot high tide that covered U.S. 80 – the sole road access to Tybee Island – and flooded downtown Brunswick. Only two tides on record reached higher in Georgia, and both were associated with hurricanes, according to news reports. Names in the news: DNR Law Enforcement Division promoted Chris Hodge to captain of a 29-county middle Georgia region that includes the Macon and Columbus areas. The 14-year DNR veteran, who recently received a Life Saving Award, had been a sergeant on the coast. Student Conservation Association interns Emily Sloane and Dave Riddell have been hard at work helping DNR and partners study and control invasive species on the coast. Read more. Bird banding at Panola Mountain State Park: Nov. 14, 21; 6:30 a.m. Dec. 5, 19. Charlie Muise, Georgia Important Bird Areas coordinator. Nov. 21 – Right Whale Festival, 10 a.m.-4 p.m. Sea Walk Pavilion, Jacksonville Beach, Fla.
Jan. 29-30 – 28th annual Weekend for Wildlife (fundraiser for conserving Georgia's nongame wildlife), Cloister, Sea Island. Registration is open.